is one of the most popular and highly recognized standup comedians on the road today has also made quite an impression in the television, film and radio arenas. First and foremost a standup comedian, he stars in his 5th stand-up comedy special “Reset” which is currently airing on Showtime. In addition, DL’s first humorous book title, I Want You to Shut the F*ck Up, is out in bookstores. DL also created and starred in the satirical documentary special for Comedy Central “DL Hughley: The Endangered List”, which premiered to rave reviews this past October. 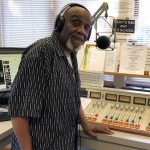 The special was honored with the prestigious George Foster Peabody Award in the 72nd Annual Peabody Awards competition, and it was also honored by the Television Academy Honors earlier this year. In August DL Hughley signed on to host a weekday radio broadcast. 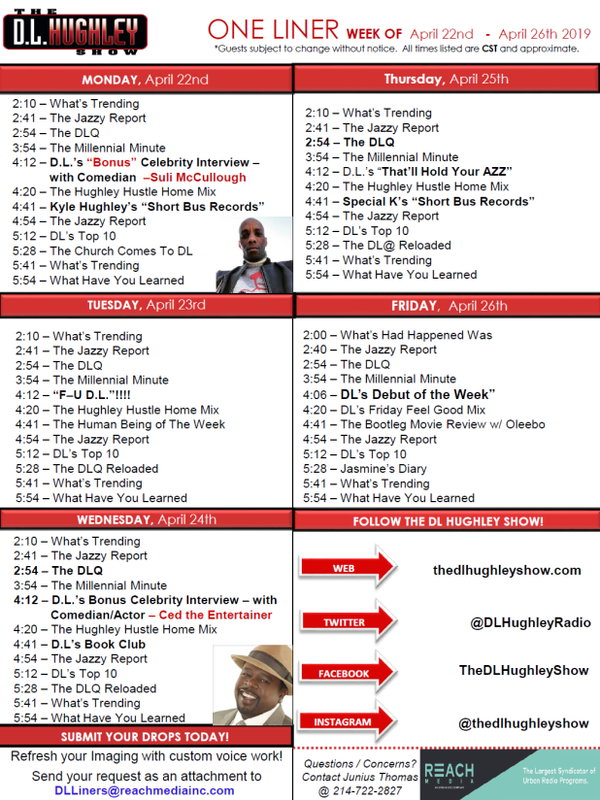 THE DL HUGHLEY SHOW will be a daily themed, music intensive afternoon drive program from 3-7pm ET. Hughley is one of the most unapologetic voices of our time and does not shy away from controversy. THE DL HUGHLEY SHOW dives head first into hot topics of the day and dishes on the latest news, entertainment, pop culture and what’s trending in social media. Always insightful and informative, Hughley and his co-hostJasmine Sandersuse humor to deliver everything from hard news to lighter fare. 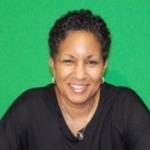 Featuring stories relevant to a rapidly evolving African American community, the one-hour show, which is a hybrid of Hughley’s existing radio show and fresh content created specifically for a nighttime audience, will offer everything from covering the day’s major headlines and roundtable discussions to celebrity guest interviews andcomedy bits. 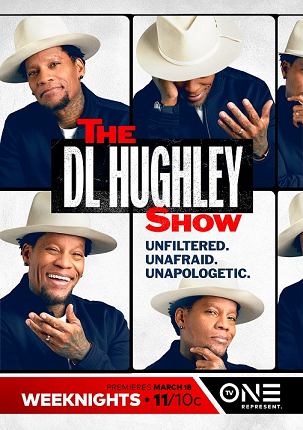 For more information about the DL HUGHLEY SHOW, visit TV One’s microsite and check out exclusive, behind the scenes content.TV One viewers can also join the conversation by connecting via social media on Twitter, Instagram and Facebook(@tvonetv) using the hash tags #THEDLHUGHLEYSHOW, #TVONE and #REPRESENT.